Our Youth & Campus Ambassadors are part of the U.S. branch of our programming, comprised of high school and college students who work closely with the staff and volunteers of Durga Tree International (DTI) to raise awareness and funds. Their efforts in empowering their peers to become conscious consumers introduces the issue of human trafficking to new and diverse student groups and strengthens DTI’s profile on campuses nationwide. Ambassadors are considered local experts, the “face” of DTI on their school campus, and represent DTI through a multitude of outreach forms, advancing the common good of the organization. According to the UN, there are more than 35 million slaves in the world today. Sadly, the unintentional and mindless consumption of products made with exploitative labor fuels this problem. Today’s youth must be part of the solution by taking an active role in the eradication of this global epidemic, using education to empower others into becoming conscious consumers, and recognizing their own part in the slavery cycle. 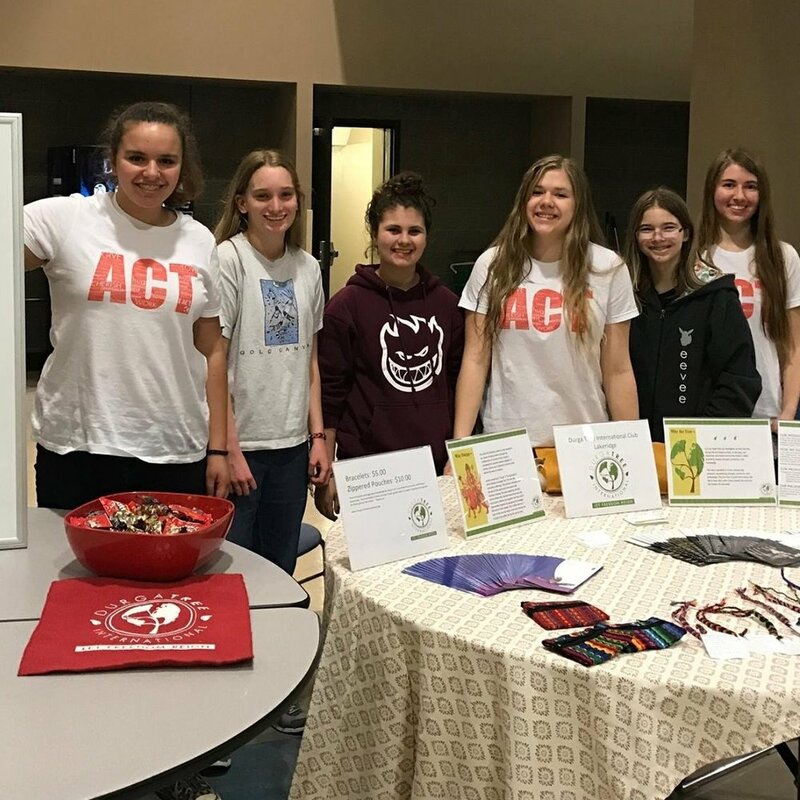 Through awareness events, we have reached more than 2,000 students and currently support school clubs throughout the country, all helping to move the needle by reducing the demand for slave made goods. Our extensive work with American youth proves this generation is incredibly passionate about social justice, poised to take action through their global connectivity. As an Ambassador, participants will engage in many vibrant forms of student outreach within the school and surrounding community, including developing relationships with professors/teachers and student club advisers and presidents, sharing DTI’s work and mission with peers through presentations, tabling and social media, and coordinating events. In addition, there is the goal, where possible, of founding a Durga Tree International chapter. On average, Ambassadors will work less than five hours per week, and commit for at least two semesters, or one academic year. The Campus Ambassador position is unpaid. Upon completing the minimum time commitment, Youth & Campus Ambassadors will receive a letter of recommendation to use for future school & job applications. The opportunity is open to all high school and college students throughout the country. The term “Youth Ambassador” will be used for those of high school age, while “Campus Ambassador” will refer to those enrolled in colleges and universities. Due to age range, level of personal independence, and the ability for clubs to function with more autonomy, these two distinctions must be made. Both groups, however, will interact and work in partnership to ensure the success of the program.